Lake Roosevelt may take a bump and a dip in its level by next week, but may actually be completely full at the end of the month, then drop some 50-plus feet by the end of April. The level of Lake Roosevelt this morning was 1280.62 feet above sea level at 8 a.m. The level of the lake may rise slightly over the weekend to approximately 1282 and then drop back into the 1279-1281 range by the end of next week. The January Water Supply Forecasts have been released and flood control elevations have been calculated based on the forecast. 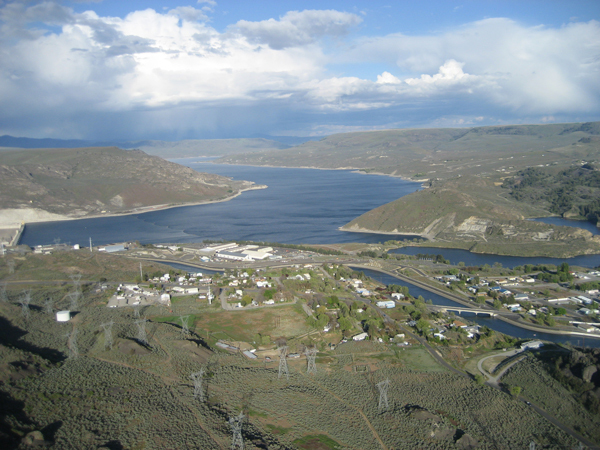 Currently Grand Coulee is operating to meet power demand and the minimum tailwater requirement for chum salmon below Bonneville Dam. While the flood control forecast is at 1267.4 feet for the end of March, the level of the lake will be dropped to 1255 in mid-March to begin necessary maintenance on the drum gates. This entry was posted in Latest News, Local culture and tagged grand coulee, hydropower, lake level, Lake Roosevelt, salmon. Bookmark the permalink.